NEW – Sevigny Target Sights Recently updated ! GS805 and GS922 will fit all Glock models. Includes C, L, S, SF and X. No MOS. 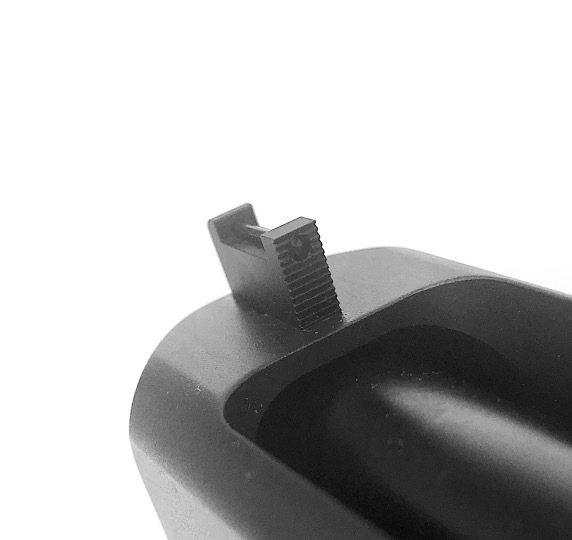 Point of Impact for .225” front sight height on GEN 1-3 longslide models and GEN 4, GEN5 model 17, 22, 31, 34 and 35 is approximately 2”-4” high. * Target rear sights will fit Slimline models but will appear slightly large. 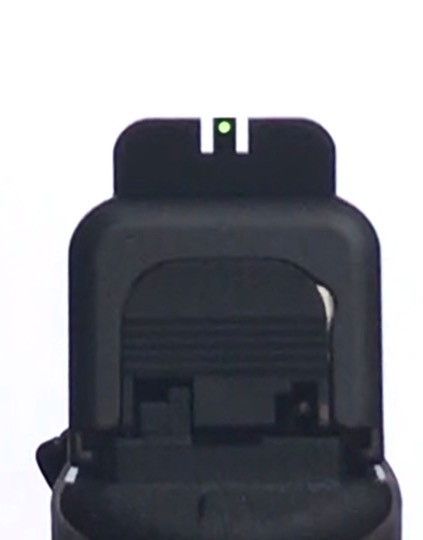 Outer width of rear sight remains inside of slide width. 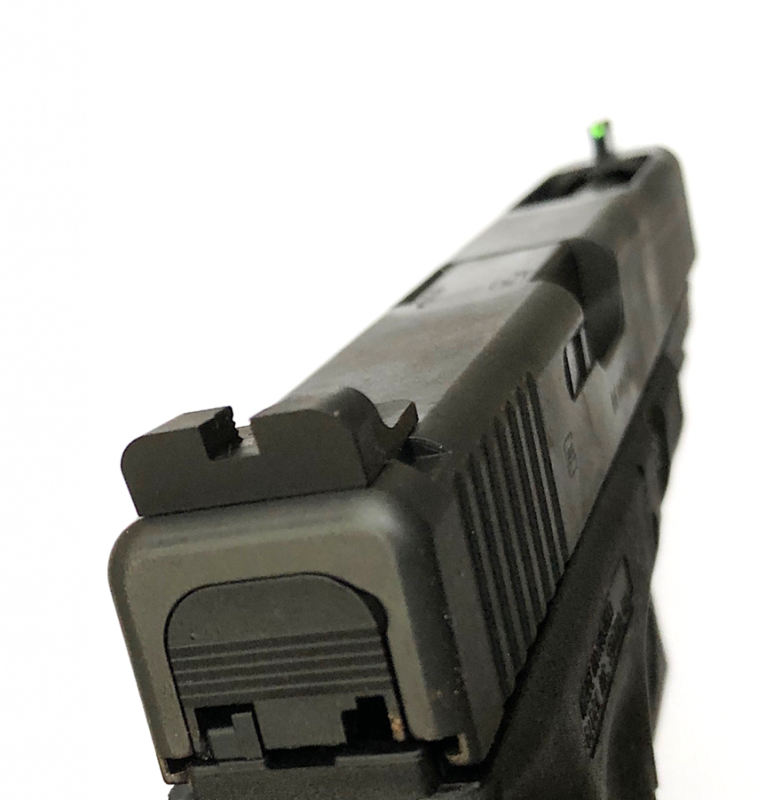 Front sight height recommendations are determined by the Point of Aim (POA) and Point of Impact (POI) test results using factory stock Glock pistols with Sevigny Performance rear sights. Test distances are 45-75 feet. Gun model, barrel type, ammunition, lighting and shooter all contribute to individual POA/POI results. 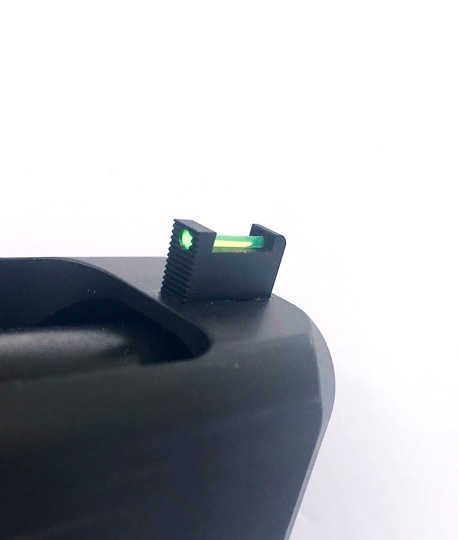 With drift adjustable only sights, it is recommended the shooter learns correct POA once point once POI elevation results are discovered. A front sight shimis available from Sevigny Performance. 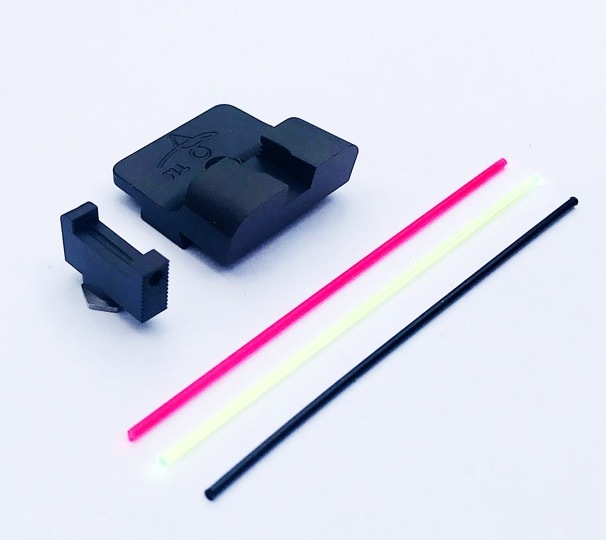 This product will lower POI by 1.5”-3” on average, depending on the gun model and target distance. 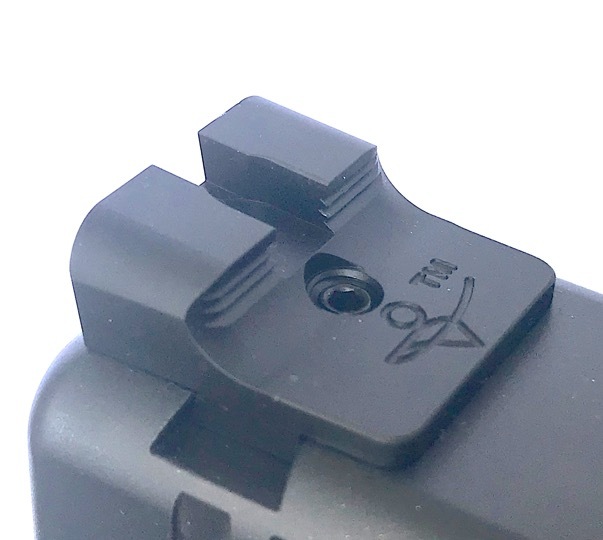 The shim is a lower cost alternative to purchasing a taller front sight to lower POI. .225” tall (and the former .215”) front sights may produce a higher POI with most GEN 4, GEN 5 standard models and all Longslides. If POI is high, you can use a hold with more of the target visible above the front sight, also known as a “6-oclock” hold. A .245” tall front will lower POI 2”-4” on average depending on the gun model and distance. *Target rear sights will fit Slimline models but will appear slightly large. 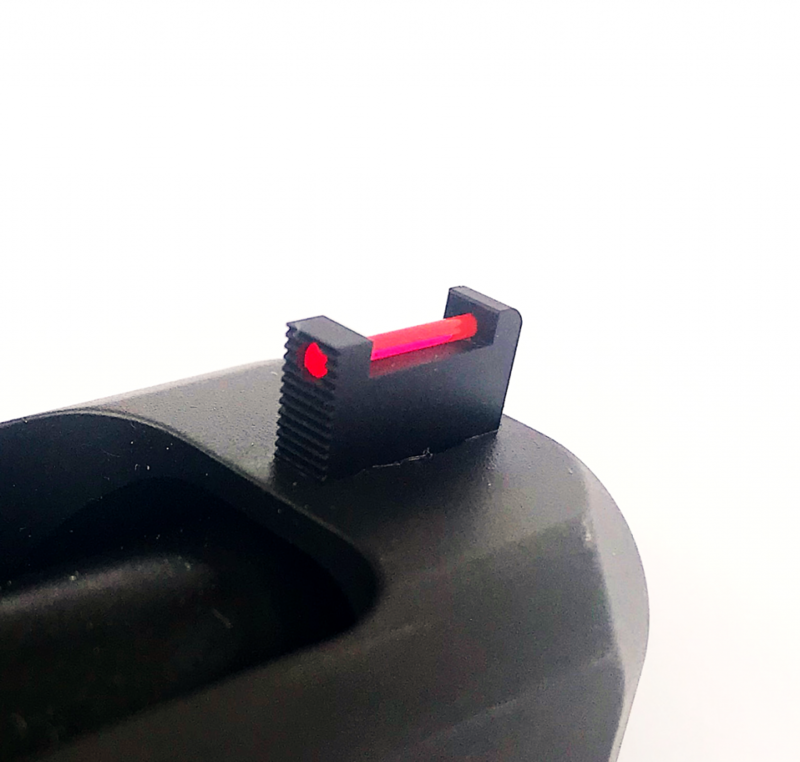 Outer width of rear sight remains inside of slide width.